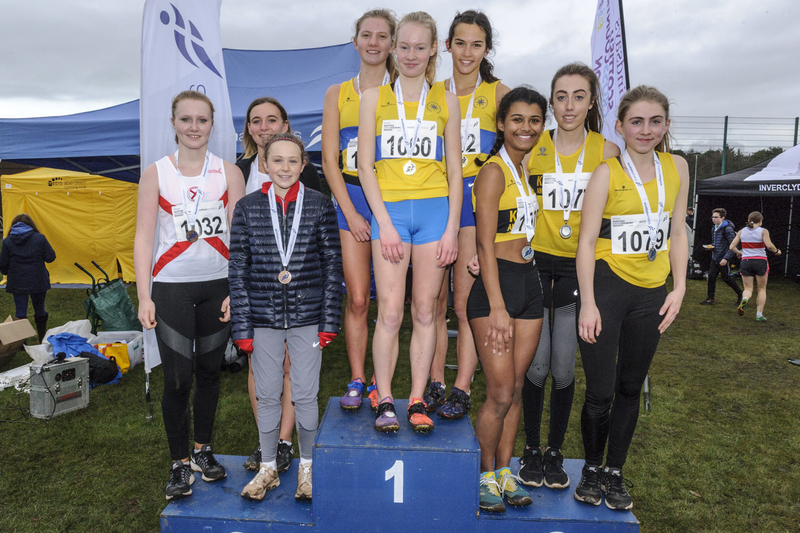 Cera Gemmell successfully swapped the streets of London for the pitches of Lanark as she claimed gold in the Lindsays Short Course Champs at U17 level. And, in a similar story, European U18 1500m champion Kane Elliott converted his summer track form to cross country to win the U17 Men’s race. 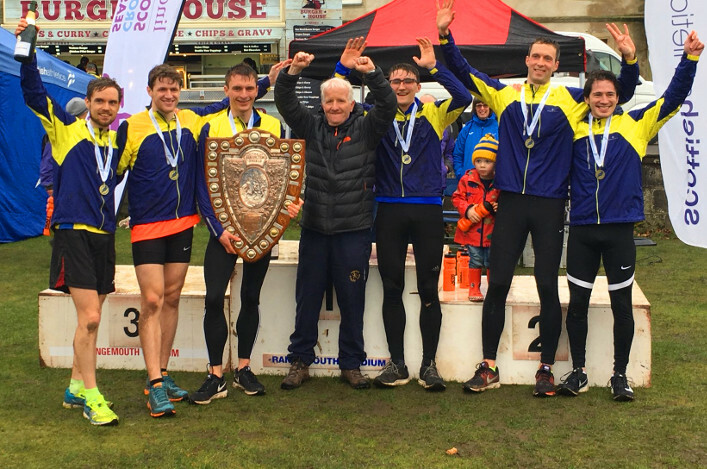 On the team front, Giffnock North AC painted the Lanark race course podium in yellow and blue – by winning no fewer than three of the four age group races, with Edinburgh AC the other club to land golds. Team East Lothian prospect Gemmell won the London Mini Marathon back in April with a superb run on the roads. The teenager then attended a Mini Marathon training camp during the summer and revealed that visit has helped inspire for a winter season in cross country. 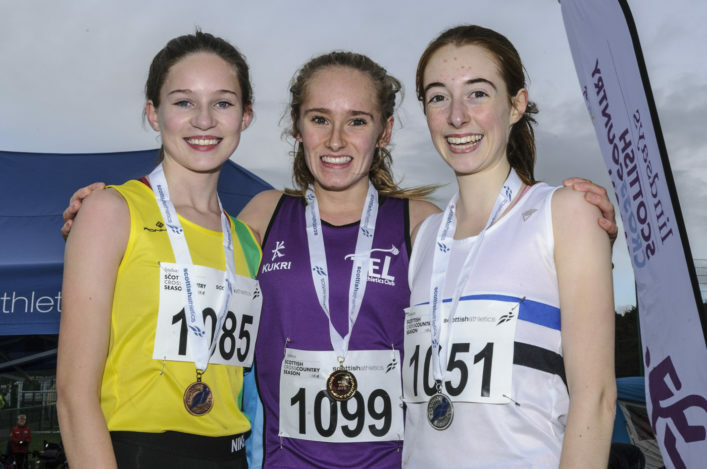 ‘I enjoyed that and it was great to win but it was hard work,’ said Cera, who saw off the challenge of Edinburgh AC’s Alice Goodall and bronze medallist Isla Calvert of Livingston to take that U17 race. ‘I was ahead but could feel Alice putting in a really big effort. I had to work hard to response to that to make sure I held her off on the finishing straight. 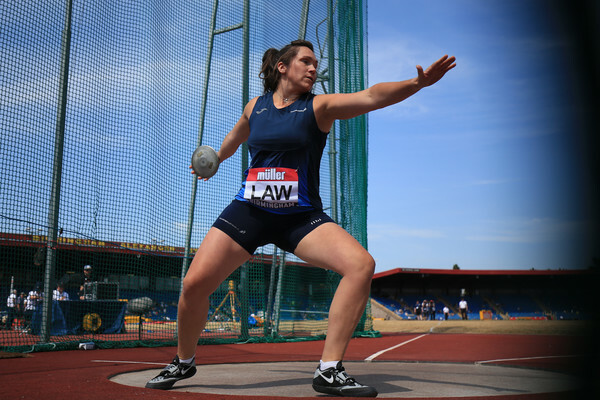 ‘After the London Mini Marathon win in April, I was invited to a training camp during the summer. I really enjoyed it and at one stage we had Steph Twell and Jake Wightman helping us out doing drills. Giffnock North won the U17 Women’s team race from Kilbarchan AAC and Ayr Seaforth. Elliott took the U17 Men’s race with Kilbarchan AAC’s Jack Patton his closest challenger. Ben McMillan of Central AC was always in contention for the medals and made sure of the bronze. ‘It was 3K today and that’s fine for Kane in terms of distance,’ said Elliott’s coach, Willie Sharp. ‘I’ve no worries at all about him in terms of endurance and he can run all day long. ‘We are keeping on putting in the work on his speed on the track for the time being because I think, in years to come, he will be fine for longer races. Edinburgh AC won that team race with Dundee Hawkhill Harriers taking the silvers and Cambuslang Harriers were third. The programme had opened with the U15 Girls race and Giffnock North savoured a 1-2 as Valencia Wright won from her club-mate, Zoe Flower. Edinburgh AC’s Katie Johnston took third. And Giffnock went even better in the U15 Boys race with a 1-2-3 thanks to the efforts of Christopher Perkins, Harris Paterson and Jacob Luc. Giffnock thus won both of those team races. Also on the podium for the U15 Girls race were Edinburgh AC and Kilbarchan AAC. 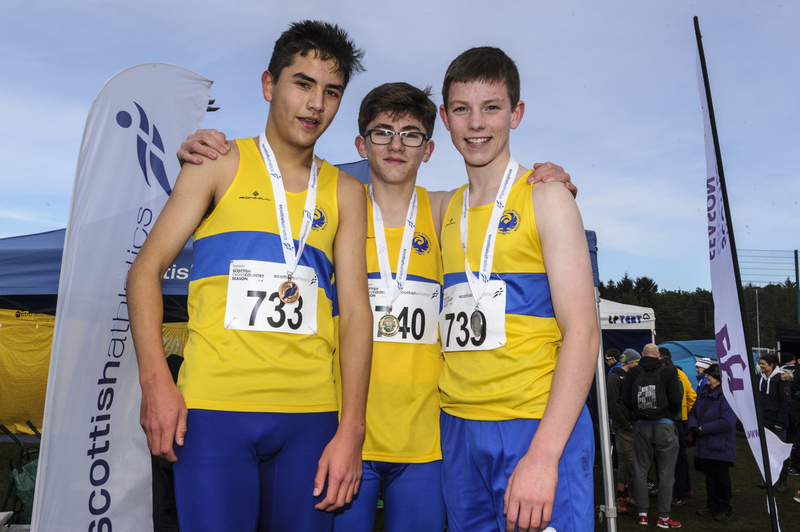 Also on the podium for the U15 Boys race were Edinburgh AC and Law and DistrictAAC. Great to see our event hosts, Law and District, on the podium there on a day when their whole club was galvanised to help out at an excellent new venue.